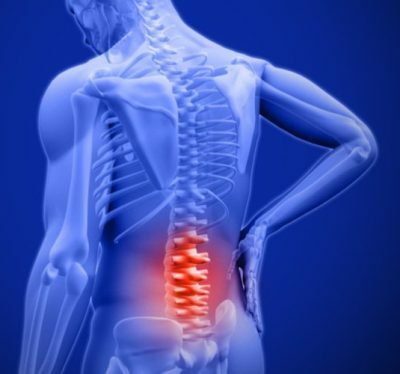 Back Pain Fables-Contrary to the common thought process of many people; there is no substantial evidence for the popular notion that a person needs to feel pain in order to assess various risks associated with back issues. Disc disorders, creaky back, weak cores, etc; you might have come across any of these words, if you are suffering with the back problem. Although, an experience of back pain could be very complex process; evidently many back issues are difficult to diagnose and in this regard, knowing some of the common misconceptions about back issues would seem to be an effective adjunct to undergo immediate yet effective treatment. In this regard, the current write up has put to rest top 5 myths about back problems and how to cope up with the issue; if in case it strikes! Myth#1 Always keep up straight! Slouching in chairs for too long must definitely be bad for your back; but sitting up too straight as well, would not be helpful and still can be disturbing. You would experience a better relief from your back pain, if you intermittently keep changing the sitting positions. It is also advisable to take a break in between your busy work schedule, to release an obvious pressure; you are putting on your back, at the sitting position. Myth#2 Bed Rest in the best cure! Certainly bed rest would be a useful tip; but only in case of acute back injury that may lasts only for few days. On the contrary, being immobile in bed for longer period of time can actually worsen your back pain. It would rather make sense, to keep moving in order to ensure stronger muscles, which don’t stiffen up. Thus, by just tweaking your daily activity schedule; you can actually lower the pressure on the back and reduce the pain associated with it. Myth#3 Lifting heavy items are hazardous to my back! Rather than being cautious about the weight of the object you are lifting; you should be considerate about how do you lift it! A key to maintain a healthy back is to be aware of proper weight lifting techniques, like not to jerk you back suddenly, or supporting the lift with one of your knees, etc. In general, it should be noted that the weight of the object should be equated with your legs or knees; one should try to minimize the distance with the object. One should not torque his/her body while lifting the object. Myth#4 I should not blame my overweight for my back issue! In general the higher the body weight more is the pressure you tend to exert on your back; compressing the spine and squeezing the vertebrae. Furthermore, your protruding belly can be associated with posture issue and slouching; thus increasing back pain. It would always be better to keep your core strong by regular exercising and maintaining your body strong and healthy. Myth#5 Surgery is the only treatment to my chronic back problem! As a matter of fact, only very few people; who are suffering with the chronic pain need to undergo surgery. In fact, a very small percentage of people generally avoid the option of surgery due to its exposure to other opportunistic infections, and danger of longer recovery period. With the recent scientific invention, it is as well possible to opt for many new therapies; which have proven their effectiveness in this regard. Stem cells therapy has gained tremendous accolades in the recent years as a viable alternative to traditional treatment options. In order to know better about the treatment modalities, you can definitely get connected with an expert, who deals with non surgical, minimally invasive procedures.